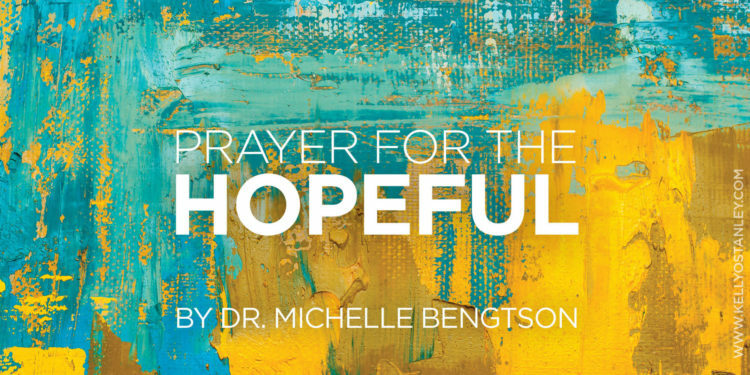 Today’s prayer is written by Dr. Michelle Bengtson. 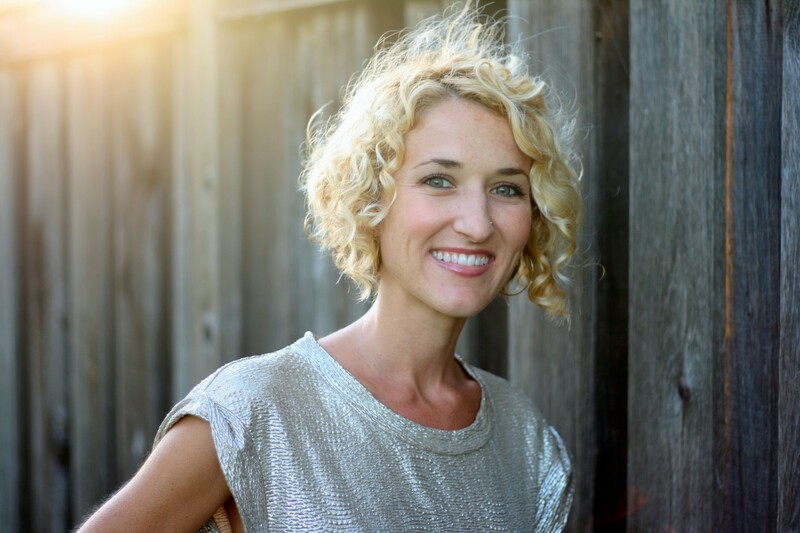 She is a sweet, bubbly, lovely, genuine woman I met at Suzie Eller’s Come With Me retreat in April. There’s something about her that just draws people in. I follow her on social media and love her upbeat posts. Her forthcoming book is called Hope Prevails: Insights from a Doctor’s Personal Journey through Depression. I can’t wait to read it because everything I’ve seen from her is so encouraging. 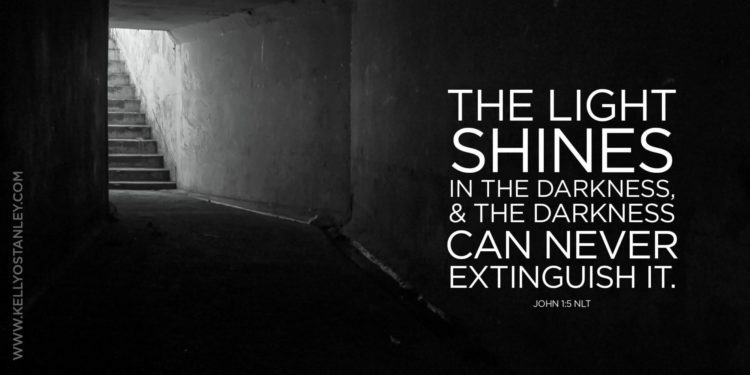 Hope is such a beautiful thing. And right now, especially, we need to be pointed back to the God who authors hope. In this world, we will have trouble…you warned us of that, and yet you also declared the promise that despite the trouble and the trials, that we could take heart because you have overcome the world. We can be grateful because while the thief comes only to steal, kill, and destroy, you came to give us abundant life. Some days our pain and heartache threaten to take our very breath away, and yet we can take solace because you are well acquainted with our sorrows, and your word says that you catch every one of our tears in a bottle. Your thoughts toward us are more numerous than the grains of sand. You know our comings and goings, and when we lie our head down at night and when we wake in the morning. Lord, what a comfort it is to know that no matter what our circumstances present, you never leave us and you never turn your back on us. In fact, you go ahead of us, you walk beside us, and you come behind, holding us by the right hand the entire time. Thank you that your word promises that when we trust in you, we will not be disappointed. Father, we thank you that as the God of hope, you fill us with all joy and peace as we trust in you, so that we will overflow with hope by the power of the Holy Spirit. This world that we live in is filled with evil, and while we, your Christ followers, wrestle not with flesh and blood, you promise that what the enemy intends to harm us, you will use for our good. 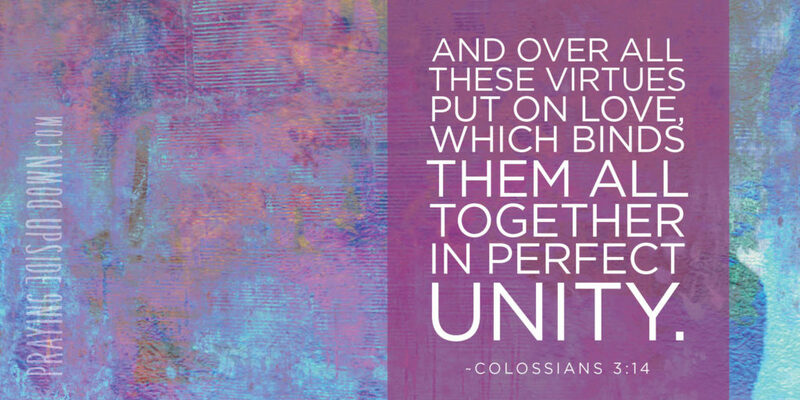 In fact, you promise to use ALL things together for our good and for your glory. We who continue to trust you and keep our eyes focused on you will bear much fruit. I’m so thankful that despite the chaos in the world around us, that you are the Master of the Universe and that you create order out of disorder. You are a God of restoration and repair. You are a God filled with mercy, grace, and great compassion. Thank you God that you are greater than any foe who will rise against us, and that because of you, we are victorious and more than a conqueror. Thank you that you are pleased that we simply love and trust you, and want to know you more. Thank you Lord that even on the days when we feel unworthy, like we don’t measure up, we are loved children of God. You have declared us a new creation in Christ, a friend of Jesus, and that Jesus makes us worthy. Thank you that there is nothing we can do to make you love us more or love us less. Thank you that when you look at us, you see us not as we are, but through the righteousness of Jesus, clean and holy. We can take comfort in knowing that when the road ahead of us seems dim and uncertain, you know the plans you have for us, and those plans are to prosper us and not to harm us. And those plans include a future and a hope. Because of you, Lord, Hope Prevails! We praise you and bless your holy name! You can order Michelle’s new book, Hope Prevails, now. It will start shipping on August 16. 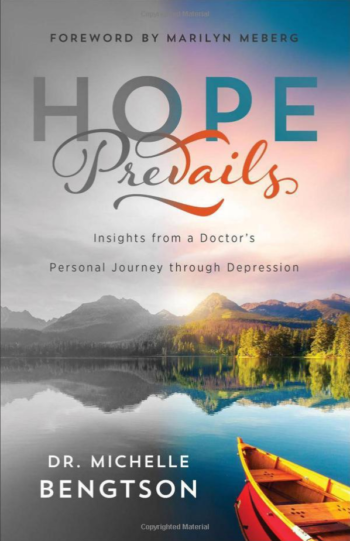 Dr. Bengtson is the author of “Hope Prevails: Insights From a Doctor’s Personal Journey Through Depression.” Her personal experience and professional expertise reveal the unseen issues that keep others chained in despair, while handing readers the keys to freedom. Even though someone may seem hostage to depression, it never has to be the final destination. As I’m busy writing my next book, I’m also poring through all of my files. Stacks and stacks of papers. 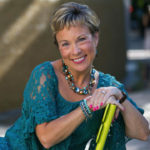 Printed blog posts and online articles. Handwritten notes scribbled over the years as I read books in bed, late at night. Scraps of paper and receipts with “brilliant” ideas that I scribbled as I drove, afraid the thought would vanish with the scenery. Bits of my own writing, bits of other people’s. 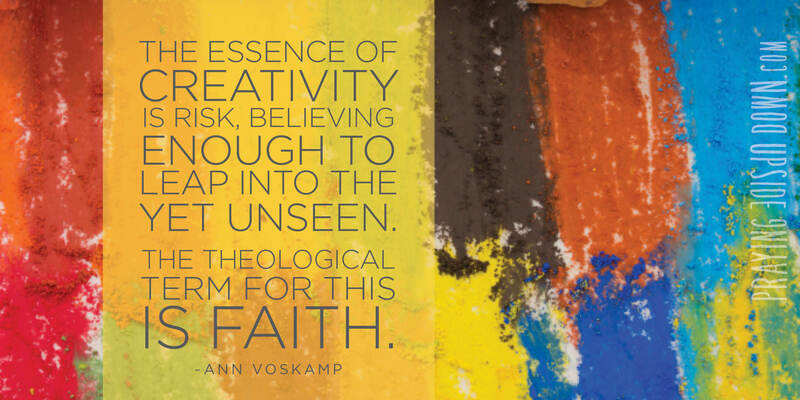 Because of my new book, I’m thinking a lot about creativity. About risk. 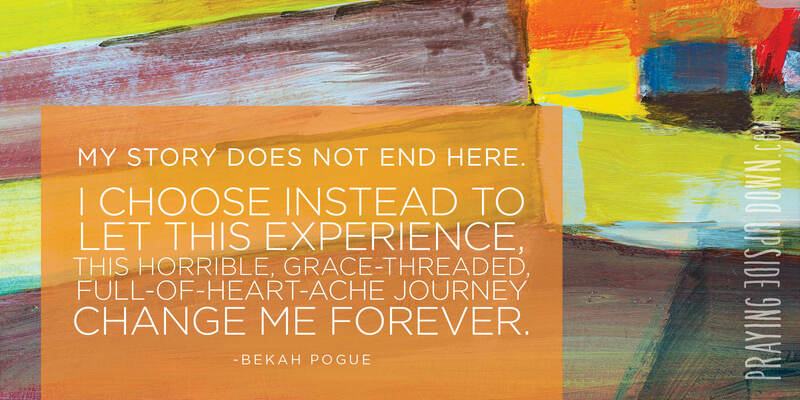 About finding the courage to seek God even when it’s not easy. To look for Him even when we’re tired and weary. To pick up the Bible even when we don’t know where to start. Wondering about how to keep up a life of faith, how to not burn out, how to push through anyway. And I’m pondering how to still my mind and relax into my relationship with God even as I try frantically to meet this next writing deadline. 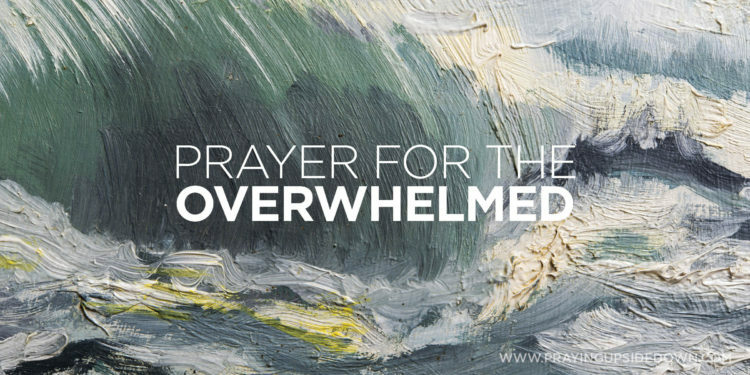 Just because I’m writing about prayer does not mean I struggle any less than you do. But with each comment I receive, each message and question about prayer, I am more and more inspired to work on this book. I’m in love with the subject. I’m in love with creativity. And I’m remembering how much I’m in love with the Creator who inspires all of those things. And I’m grateful for you. 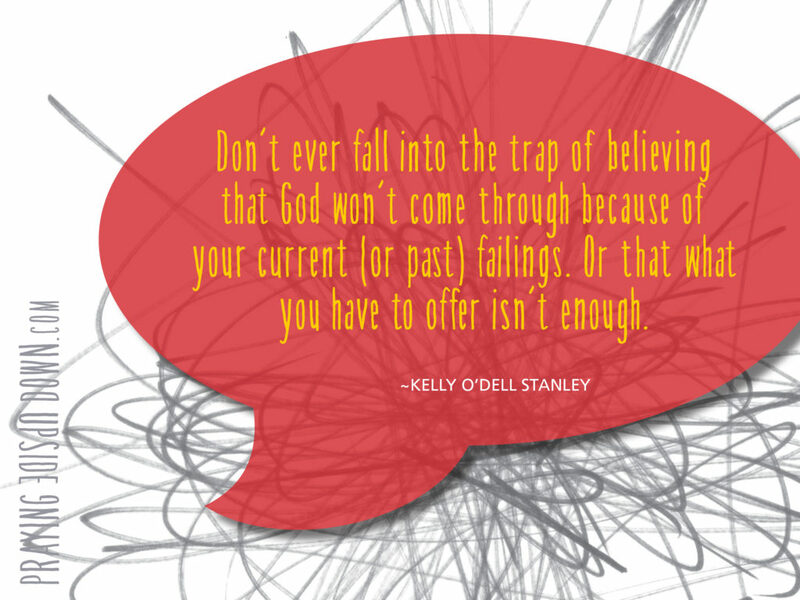 For that thing inside that won’t let go, the part of you that keeps reaching, keeps wanting to try again or find more of God or reach out to connect with others. The part of you that keeps hoping. We hear all the time that God is love. And oh, He is. 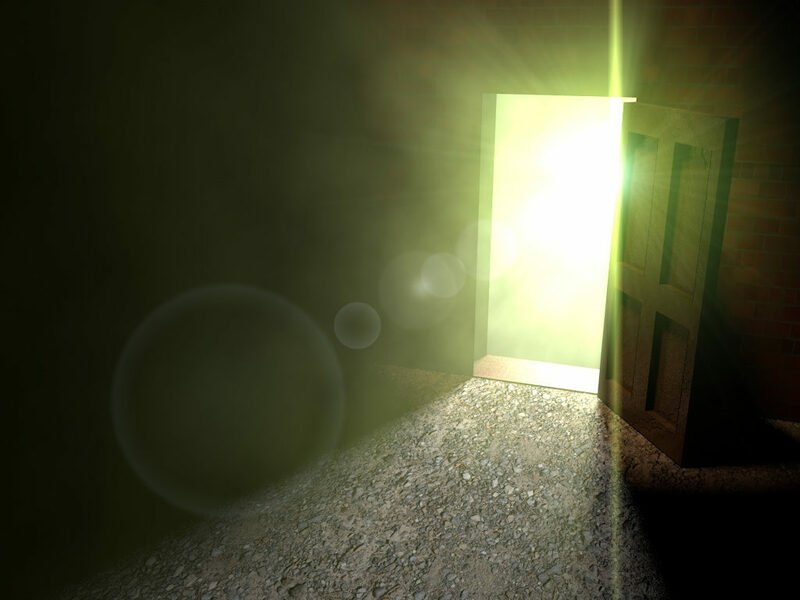 We can rest in it, pull it around us, wrap ourselves in the warm cloak of God’s adoration. But the word that makes my spirit leap is hope. Hope says there’s always something more. That the end is not the end. That somehow, some way, things will get better. Deadlines will be met, bodies will be healed, finances will balance, relationships will be restored, life will move forward, and God will prevail. But allowing ourselves to believe? Letting ourselves feel that hope? It’s hard. And scary. It’s a huge risk. But if you look back at Ann’s quote, note that she doesn’t simply say that creativity is believing. She says it’s believing enough. That’s it. That’s all you have to do. You don’t have to believe everything you hear or study. You don’t need all the answers. You can still wonder, and doubt, and try, and fail, and walk forward, and fall back. But just believe enough to pick yourself back up. To take one more step. To reach out your hand, to tilt your face towards the sky. To dream. To create. 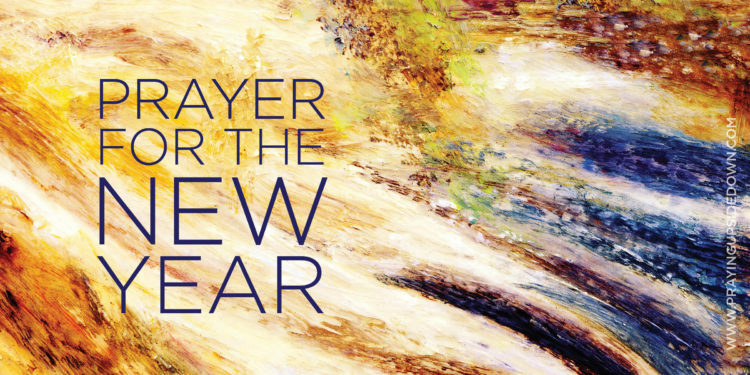 To pray. To seek. To hope. And to find. Because the biggest risks bring the greatest rewards. I’ve been scrolling through social media, deeply disturbed by much of what I’ve read—even the opinions of people who are kind and generous, even the ones with whom I agree. I finally figured out why. Because there is one word that I hear over and over, and it doesn’t belong at all: BUT. And it makes me tired of the whole discussion. Don’t get me wrong. We NEED to talk. But not in the same way we have been. Somehow our country has gone from united to divided. Every single issue has become us vs. them. We can no longer offer an opinion without tacking on a judgment. We hear things like this: I think gay people should have rights, BUT I think homosexuality is a sin. I do not discriminate BUT I am not responsible for what happens. I like him BUT he is a Muslim. I thought she was a Christian BUT she voted for Obama. I think the BUT needs to go away. When did we as a country decide that it’s not just okay but expected to contribute our own personal judgment or assessment of every issue? Not all that long ago people could be friends with those with different faiths. Respect the office of President of the US, even of an opposing political party, without agreeing with the policies or actions of the person holding the office. Disagree on opinions yet still have civil conversations. Hold an open-minded dialog to gather information in order to make informed decisions. But now, particularly through our friends on social media, we insulate ourselves, surrounding ourselves with those who have like-minded views. As soon as the opinions diverge, we click unfriend. We use people’s views as a way to classify them. Are they a Christian? A Muslim? An atheist? Are they LGBTQ or straight? Are they black or white? Democrat or Republican? As soon as we can classify them into a category that we are not in, we disregard what they have to say. I don’t understand the prevalent mentality in which we post things to defend our own point of view—not to enlighten others but to use as a trump card. Ha! They agree with me! Take that! I’m not going to cheer when the witty Christian outsmarts the atheist or despair when science diverges from my faith. I’m not going to buy into the concept that being a follower of Jesus dictates which political party I must support. I’m not going to let myself be categorized according to just one aspect of who I am, and I’m going to try very hard not to do that to someone else. Don’t get me wrong. I have strong opinions and I’m not afraid to share them, and I’ve lost a few blog followers as a result. I do want to know where you’re coming from—not as a way to categorize you but as a way to ground what you’re about to say. I enjoy debate, but I try not to engage those who I sense will not be respectful or kind. I try to be careful about when and how to have those discussions, because I think they are important and I want to treat them respectfully—and because in the last few years I’ve found myself going to great lengths to avoid drama. And right now what I feel is that nobody is listening. I don’t want to talk when I have to shout to be heard. When each comment sparks a venomous attack. When every single topic comes down to an immediate assessment regarding whose side the speaker is on—ours or theirs. God calls us to unity. Every single classification or difference, every battle, every tragedy or triumph seems to further fragment us—as a country, as a community, as a church. To be frank, when a discussion comes down to us vs. them, it’s probably not going to be very productive. It is only when we realize that we are all in this together, only when we strive to improve life for all of us as a whole, only when we are willing to offer respect and dignity and compassion and understanding in equal measure to what we expect to receive, that any of this talking is going to do any good for anyone. So for now, I’m remaining quiet on the big things happening in the world around me, but it’s not because I don’t care. It’s because I don’t know the answers and I don’t want to add fuel to the fire. Instead, I’m adopting these words from the Bible as my prayer and my hope. Will you join me? Remember this: Nothing can separate us from the love of God. Nothing. Romans 8:38-39 in the NIV reads, “For I am convinced that neither death nor life, neither angels nor demons, neither the present nor the future, nor any powers, neither height nor depth, nor anything else in all creation, will be able to separate us from the love of God that is in Christ Jesus our Lord.” Which is amazing. Wonderful. Right? That’s right. Nothing. Maybe today we can all sit back for a moment and let that sink in: There is nothing that can get in the way of our finding everything. Thank You, Lord! Remember the giveaway I posted a couple weeks ago for those who wrote reviews of Praying Upside Down? First, I want you to know how grateful I am for each one of you who took the time to post a review. It means so much. And second, here are the prizes and the names of the winners. Please email me your mailing addresses so I can get you your prizes! God is our source and strength. He is the bearer of hope. All true. 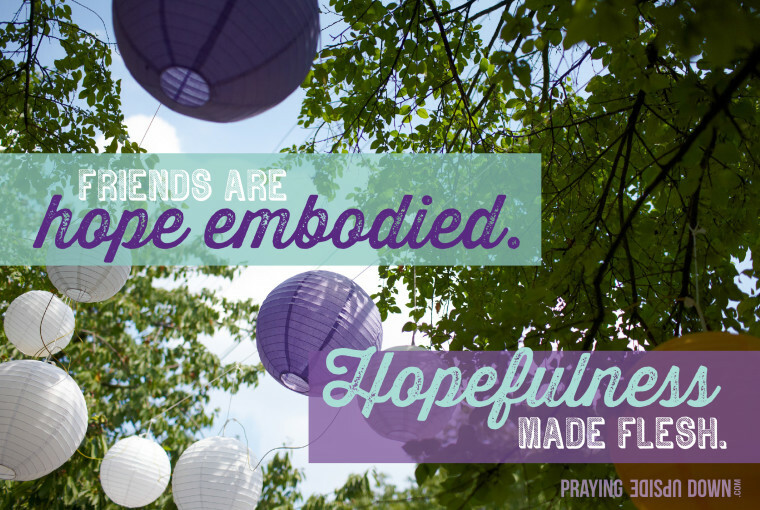 But as I think about the lovely friends God has placed in my life, I’m discovering a correlation between friendship and hope. Read more of this post at the Internet Café (one of my favorite places to share).